If your device is losing charge faster than it should, it is possible that the battery of the device may need replacing. That said, there are other things that you can try first to try and improve things. Limiting the use of Bluetooth and only turning it on when you need to use it. Many devices have quick access to switch Bluetooth off and on again. Location services, is another potential battery hog. If either you or your device does not need to know the current location, then switch it off to preserve battery life. You just need to remember to switch it back on again when you need it! Closing applications when you are finished using them, instead of leaving them running in the background can also help preserve battery life. Most devices have a quick way to access the applications that are currently open. Fully closing apps that are no longer being used will free up memory on your device and reduce the amount of background CPU processing. This all helps the preservation of battery life. Reducing the brightness of your display can also help to show an improvement in the battery life of most devices. 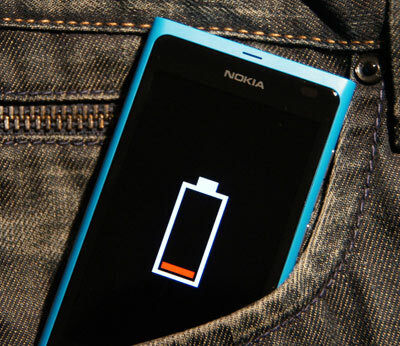 If none of this helps your battery life, feel free to call into our shop in Royston, or call us on 01763 869 780. We can even come out to you with our Call Out service. Click here for more information. We also provide a FREEPOST Repair service. Click here for more information.